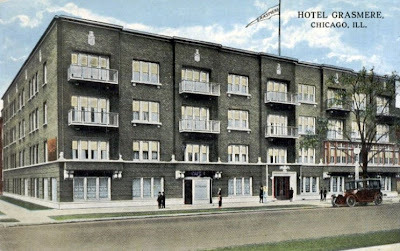 The four-story Hotel Grasmere was designed by R.C. Harris and built in 1915. It survived as an apartment hotel well into the sixties. Today, the building is home to Grasmere Place, LLC. The image below is from Google maps. What a great Picture. I lived in the old Donmoor hotel down the street at 917 Eastwood from 1996 to 2002. I'd love to see some old pics it. Maybe some will surface one day...L.B. I'll keep my eye out for some! Awesome thanks!. Interesting tidbit about 917 Eastwood. That's where the assassains of Louie(Two gun's) Alterie were stationed. 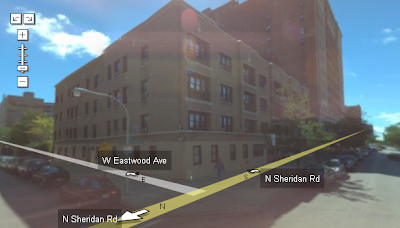 I lived at 931 Eastwood from 1955-1967. I remember the Donmoor Hotel as well as the Eastwood Towers across the street. The first floor of the Grasmere was eventually renovated into businesses. On the corner and stretching along Eastwood was the Boulevard Lounge. Next to it, going east, was a tailor shop, then the food shop my parents owned, then another tailor shop. I would love to communicate with people who remember this neighborhood. You can contact me at lamut@earthlink.net. Chris -- Do you have any pics of your family's store, or other images to share? We'd love to be able to post them. I may have a picture of the store. I'll try to find it.